Have you been considering pursuing Botox in Scottsdale? If so, you are far from alone. Plenty of people have chosen to undergo Botox treatments and have celebrated and raved about the results. Botox is a popular option for women and men in Scottsdale looking to effectively hide signs of aging. Before you undergo Botox in Scottsdale, AZ, it’s important to define your expectations clearly—both with yourself and with the professional who will be doing the job for you. It’s best to be up front about what you’re expecting from the beginning. This way, the professional can understand what you are looking for and make sure you are both on the same page. As a result, you are much more likely to be happy with the results of your procedure if your expectations are able to align with reality. You wouldn’t be seeking out Scottsdale Botox if you didn’t think it would impact your life positively—and it will! Think about what life will look like once you get your Botox injections. Will the fresher, more youthful appearance you get as a result be a benefit to your life? It could make you feel more energetic and confident instead of feeling dissatisfied with the way you look! If that’s the impact on your life that you are looking for, then Botox in Phoenix or Scottsdale is likely for you! Before you undergo your Botox injections, it’s best to be prepared for any potential side effects that you might experience. Botox is a non-surgical, non-invasive procedure. However, you may still experience minor side effects, including slight swelling, minimal bleeding, and temporary redness. In addition, you may find yourself experiencing headaches, temporary eye irritation, or weakened facial muscles as a result of your Botox in Phoenix or Scottsdale. Still not sure about whether or not Botox is right for you? 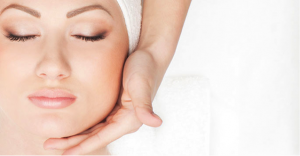 Get in touch with us at Focal Point Salon and Spa today, one of the best options for a med spa in Scottsdale! At Focal Point Salon and Spa, we are a Scottsdale medspa prepared to help you understand everything you need to know about Botox in order to better make a decision. We offer everything from Botox injections to laser hair removal in Scottsdale. Looking for the ultimate med spa in Scottsdale, AZ? If you need help to determine whether or not Botox or Microneedling is right for you, At Focal Point Salon and Spa, we strive to give the best treatment possible and help to improve your life! So what are you waiting for? Book an appointment or come in for a consultation with us today! Next PostWhat Is The Best Age For Botox?